Mum is our laid back family girl. .Who can be seen. Dad is a DNA tested clear for PRA . KC registered miniature poodle. There are 4 Boys and 2 Girls. 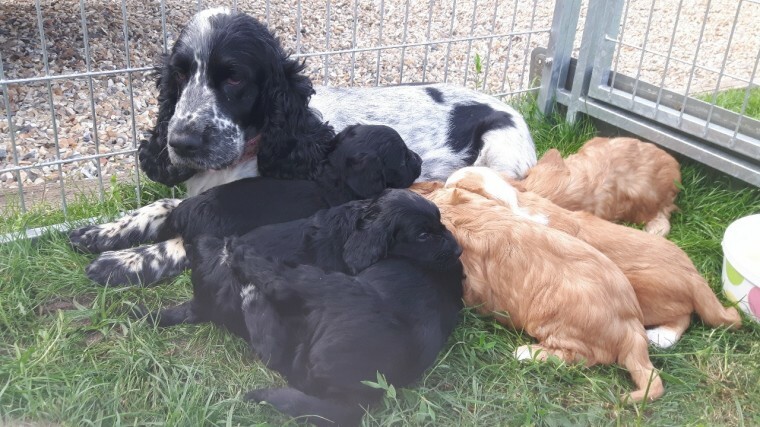 They were born on the 2nd may 2018 and will be ready for there new homes at 8 weeks. All will be vet checked. wormed. flead. chipped and come with 4 weeks insurance. 150 will secure ur choosen puppie.